This entry was posted in inclusive community building, Inclusive Leader Campaign, Networking on September 9, 2018 by lindadianahill. Here is a short survey followed by our creative invitation to show up at Inclusive Leadership Online and In Person and invite others to show up with you by playing Yes Let’s! Do you value diversity and inclusion? Do you consider yourself to be a Bridge-Builder (i.e. Do you often find yourself helping people and places be respectful, fair, peaceful, safe and fun for everyone)? 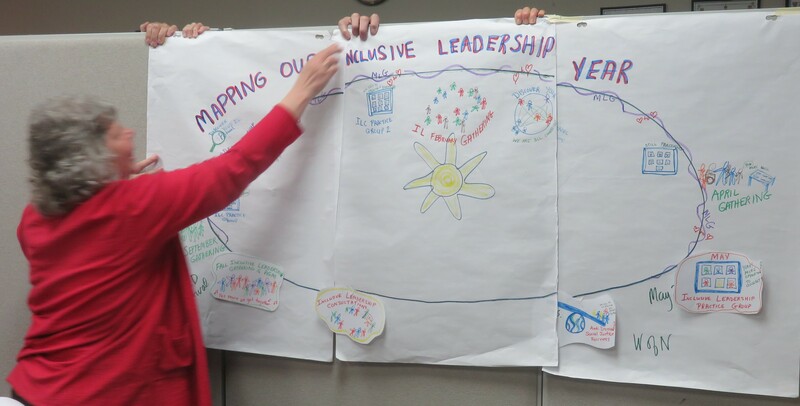 Have you ever participated in an Inclusive Leadership event (in person or online)? Are you a supporter or member of the Inclusive Leadership Co-operative? This entry was posted in Cooperative Movement, Inclusive Bridge Building, inclusive community building, Inclusive Leader Campaign, Inclusive Leaders in Action, Inclusive Leadership skills, Networking on August 10, 2018 by lindadianahill. 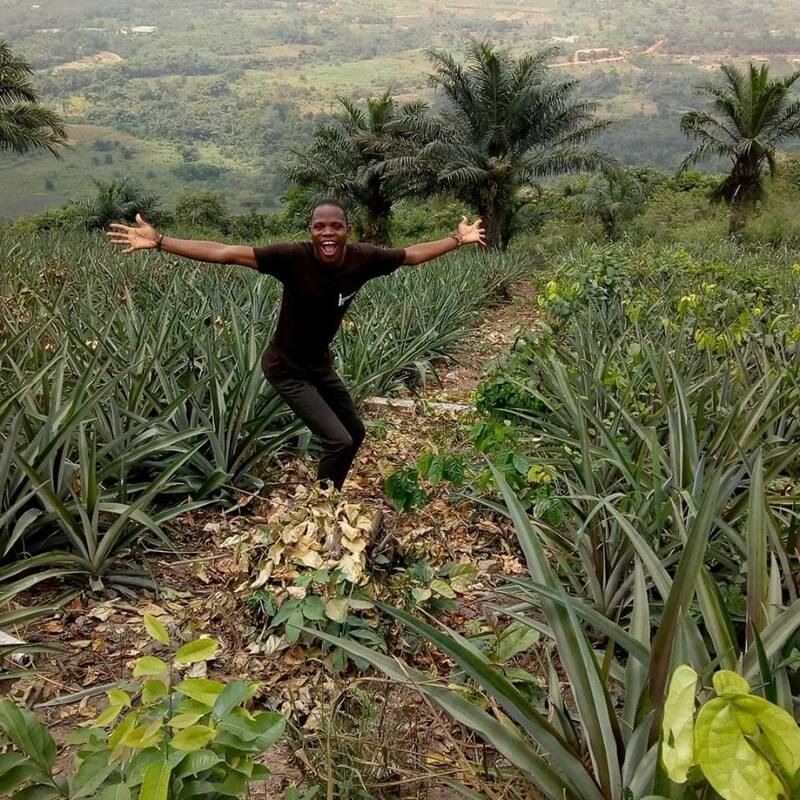 I am Paul Atsu, a youth leader, a thinker and communication expert in Ghana, Africa with a special focus on Agribusiness/ Agriculture. I began the Discover Your Inclusive Leadership Potential Online Course ready to learn from my fellow leaders. My hope is that as we learn more from each other here, the impact will be to make a world a better place for our generation. This entry was posted in Inclusive Bridge Building, inclusive community building, Inclusive Leadership skills, Networking on May 14, 2018 by lindadianahill. 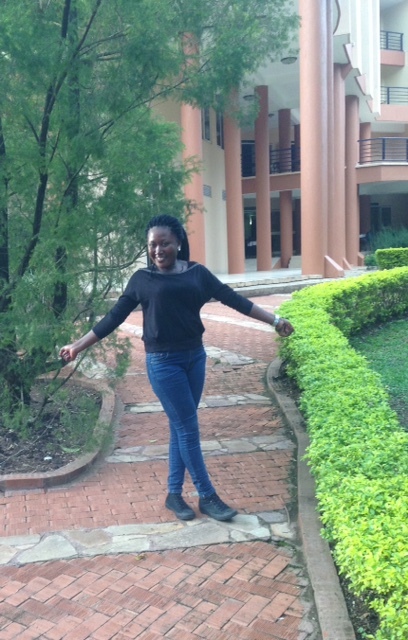 Welcome Joy Emmanuel: Summer ILC Co-ordinator! Our wonderful Joy Emmanuel will be co-ordinating the Inclusive Leadership Co-operative for the summer while Linda Hill takes a break to spend time with family and do some travelling. Joy is the perfect person for this challenge! She was the Co-op Developer who guided the founding members of the ILC through the process of becoming a Community Service Co-operative in 2013. She felt so at home with our vision, mission, values and practices that she joined our association and has been sharing leadership in cultivating the ILC ever since. Joy’s experience as a co-operator and her understanding of the ILC from the grass roots up and from the inside out, is making the transition smooth and easy. 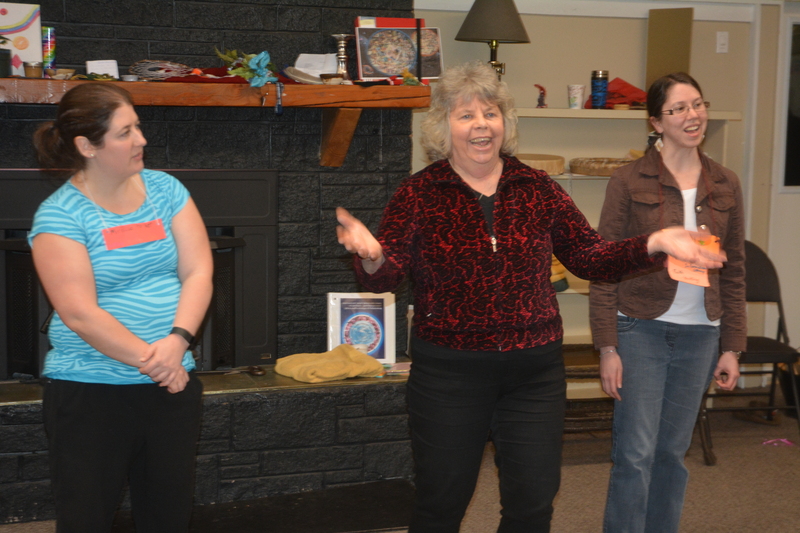 Joy facilitated our Spring Update Sharing Circle on April 28 and is helping with organizing our online Heart to Heart Sharing Circle coming up Saturday May 5 9:45 am to 11:30 am Pacific Time (4:45 to 6:30 pm Co-ordinated Universal Time). New and experienced Inclusive Leaders from around the world are invited. 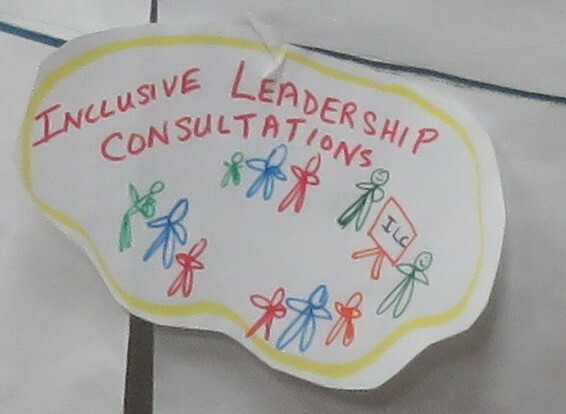 Simply email Joy at inclusiveleaders@gmail.com and Harriet at ilc.online.cafe@gmail.com for the url address and other directions on how to drop in. 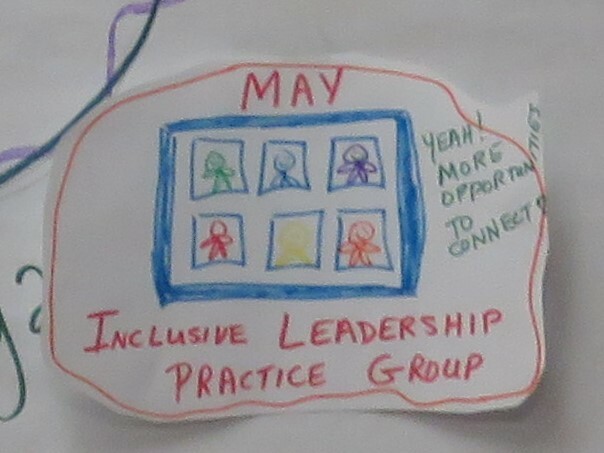 Joy and Harriet will be co-facilitating an eight week ILC Online Practice Group beginning Thursday May 3. There is still room for a few more Inclusive Leaders to join this weekly zoom video meeting from 8 am to 10 am Pacific Time (3 pm to 5 pm Co-ordinated Universal Time). Join new and experienced Inclusive Leaders from across Canada and around the world in cultivating your Inclusive Leadership skills through sharing, listening and practicing. . Click here for more information and to register. 1. The ILC has been invited to join with Cowichan Intercultural Society, schools and NGOs in our local Cowichan Valley community in Canada in “The Inclusion Project.” TIP aims to build inclusive and welcoming bridges between students who are transitioning from small elementary schools to a larger high school. One goal is to build safe, respectful, peaceful and enjoyable relationships between Indigenus students and Non-indigenous students. Thank you to Project Co-ordinator, Linda McDaniels of the Cowichan Intercultural Society for inviting the ILC to work with you on this exciting initiative. (Linda McDaniels is also a founding member of the Inclusive Leadership Co-operative). 2. 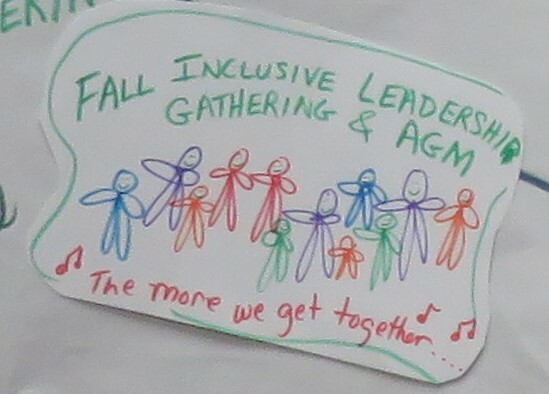 Joy will be reaching out to invite you and other new and experienced Inclusive Leaders to bring your families, friends, colleagues, students, volunteers and other champions of diversity and inclusion to come to our Sept 28 to 20 annual Inclusive Leadership Co-operative gathering for 1, 2, or all 3 days. Joy says, “One of my take-aways from the weekend is just how amazing each of us are when we have the opportunity to show up in a space of respect, openness and support and share our stories. The gifts of our lives can really shine through.” Register online or email Joy at inclusiveleaders@gmail.com for more information. 3. 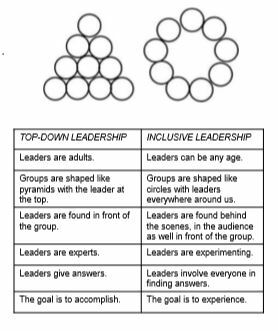 Contact Joy at inclusiveleaders@gmail.com if you would like the ILC to facilitate an Inclusive Leadership workshop for your organization, community group or school during Fall 2018 or Spring 2018. Trained and experienced ILC facilitators will guide your group to explore and develop skills for connecting with differences, communicating with compassion, responding with Anti-Discrimination First Aid and Building Bridges to equality. These are essential skills for everyone who wants to live, learn and lead more inclusively in our diverse communities. 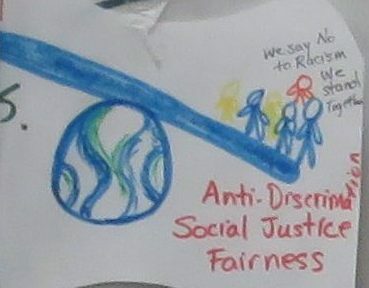 This entry was posted in Cooperative Movement, Inclusive Bridge Building, inclusive community building, Inclusive Leaders in Action, Networking on April 30, 2018 by lindadianahill. This entry was posted in Inclusive Bridge Building, inclusive community building, Inclusive Leader Campaign, Inclusive Leaders in Action, Inclusive Leadership skills, Networking on April 2, 2018 by lindadianahill. Hi Friends, I am Joanita Babirye from Uganda; a young and emerging leader supporting young undervalued women in the rural communities of Uganda. 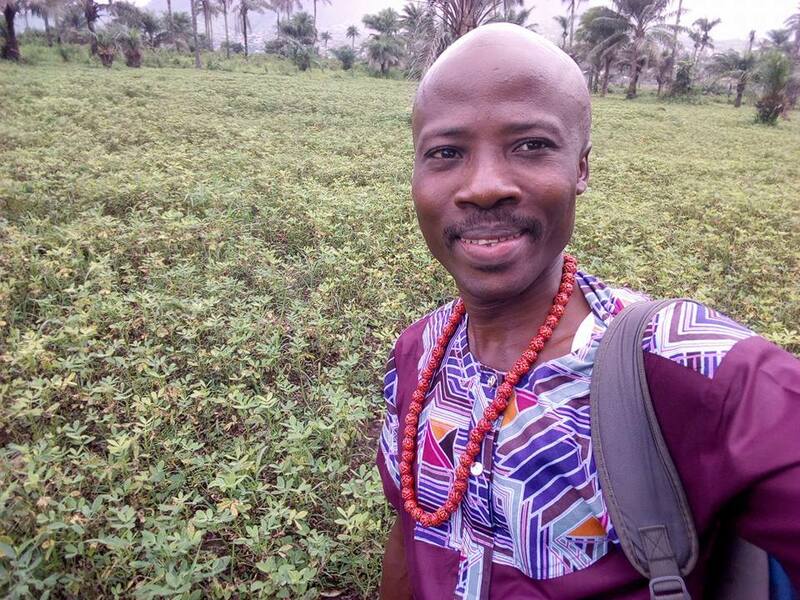 I am a recent graduate of urban and Regional planning and an environmental activist, so passionate about environmental and social justice. I love singing, story writing, playing the guitar, reading and listening to music. I am a jolly person! This entry was posted in Inclusive Bridge Building, inclusive community building, Inclusive Leaders in Action, Inclusive Leadership skills, Networking on March 26, 2018 by lindadianahill.